The most in-demand veterinary jobs for November 2018 were animal caretaker, veterinarian, and veterinary technician. These roles were also the top three in terms of new veterinary jobs added to the iHireVeterinary database. PetSmart was the top hiring company (1,334 veterinary jobs) with Rover not far behind (1,096 veterinary jobs). The state with the most openings was California and the hottest hiring metro area was New York-Newark-Jersey City, NY-NJ-PA. 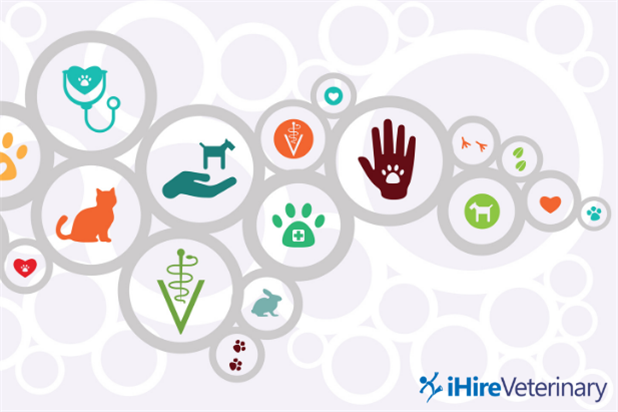 If you’re interested in a veterinary industry analysis from the job seeker side of things, iHireVeterinary’s membership base of 462K+ veterinary job seekers comprises more than 10 distinct titles with front office staff, kennel attendant, veterinary assistant, and veterinary technician leading the way in volume last month. Furthermore, just over 800 additional kennel attendants joined iHireVeterinary in November. Get the full veterinary industry report below.